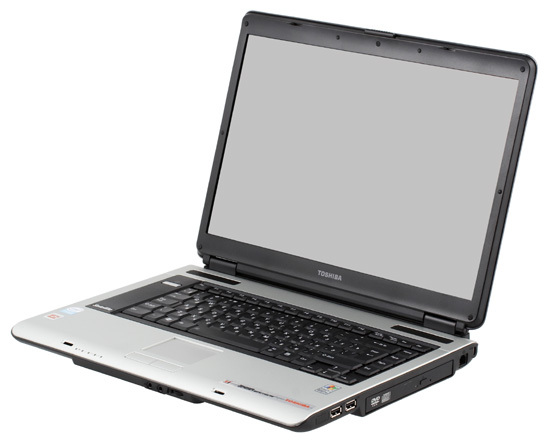 Toshiba is one of the leading oldest world manufacturers of notebooks with glorious traditions. 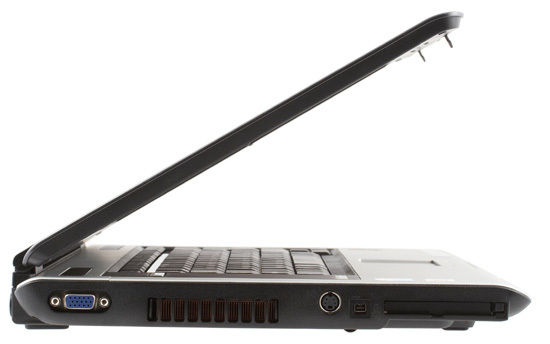 The company has a reputation for manufacturing high-quality, reliable, and ergonomic notebooks. But this market has changed significantly for the last several years. Notebooks have grown from rare professional products into large-scale goods. And they are rapidly becoming consumer electronics. The largest segment is inexpensive notebooks. That's because most users do not have high requirements to functionality or ergonomics. They have just a few basic requirements, which are easily met by the cheapest models. Fewer users are ready to pay much money for a notebook, especially as functionality of Low-End notebooks is not that different from High-End models. All advantages consist in extra features and new technologies. And not all users need these features, still fewer people can appreciate their true worth. So manufacturers have to offer cheap notebooks in their product lines – these notebooks make mass sales (although profits from a single notebook sold are lower) and attract much more users. And it's not a trivial task to preserve quality and reputation on the market in the existing price realia. So poor manufacturers are beating about in the attempt to fit as many marketing advantages as possible into Procrustean bed of their pricing policies and still get profits. As a rule, the first sacrifice in this struggle is "unnecessary" (that is unvalued) features like additional functions, ergonomics, and usability. All notebooks are rapidly falling into some average level. And this average level at a low price shapes the consumer demand. Solitary models remain in the professional segment, and those are getting unified. This tendency is not good, but that's the reality of the modern market. Today we shall review another cheap model from a famous manufacturer. Toshiba currently offers two series of cheap notebooks – L series (very cheap) and A series (better design, but still cheap enough). Today we are going to examine A100-220. Built on the new mobile technology Intel® Centrino® Duo or Celeron® M, Satellite A100 offers mobility in a stylish 15.4" wide case. A100 series is ideal for hard-driving users, who wish to enjoy the advantage of mobile, multimedia rich, digital entertainments. Let's leave some poetic overstatements on the conscience of the marketing department. VAZ 2110 used to be compared with Ferrari as well. You can read a general description of the series and models on this page. It should be noted that model descriptions are grouped well. A user can go to a necessary section (for example "How to Buy") and compare models. What concerns the description of our model, it's not available in the list, as it was soon discontinued. We generally liked the web site. It's well structured, you can easily find a page you need. Warranty One-year international warranty. Update the standard warranty by using the extended service plan of Toshiba, additional services, and insurance against all risks. Note. The standard warranty period in Russia is two years. The Front Side Bus is 400 MHz. As you can see, our sample has a minimal configuration, it even has 256 MB of memory. New models of the A100 series are equipped better. Such small memory capacities are already outlawed by the latest corporate strategy to raise the technological level of products. 82 minutes for reading from screen is a catastrophe, to put it in mild terms. Autonomous operation is out of the question here. From this point of view, this is a desktop model, which can work long enough in case of long power cuts. I wrote about scary tendencies in the introduction, here is the first proof. Even the keyboard layout raises some serious issues. I mentioned this strange layout with vertical "Enter" and short Left Shift with Back Slash next to it. To say nothing of the difference from the standard layout, which inevitably takes time to get used to the new layout. Besides, this layout makes it much more difficult to type blindly. This method requires a certain position of your palms. The further is a button, the further you have to stretch your finger, the more chances for moving your palm from the fixed position. /Left Shift is especially annoying in this respect\. as it's used very often \9 the number of back slashes in this phrase shows what exactly is annoying). I don't say that you cannot work on this keyboard, you can certainly get used to it, it's just less convenient, and it's more difficult to type. Especially as I don't understand why it's done for another back slash, it's not very useful for typing. And finally, I don't understand why Toshiba reinvents a wheel, while it has a very good, well-balanced layout. Users already got used to it. Installing something unusual on a new model, something less convenient at that, is a questionable move. Strange decision. 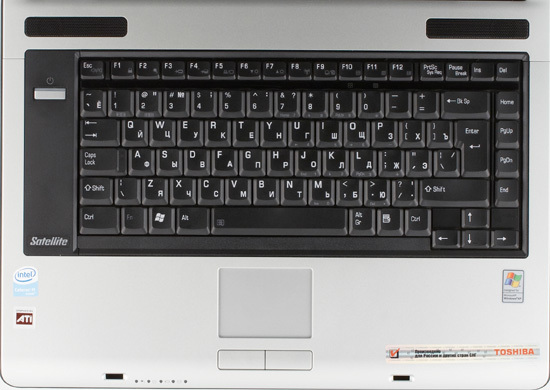 In other respects, the keyboard layout is more or less similar to the standard layout for notebooks. But this layout (win, ins and del keys) differs much from the usual Toshiba layout. So having upgraded to this model, loyal clients of this company will be disappointed. What concerns the tactile feedback, it's a catastrophe. The only good point – the keyboard is very easy to press. It's good, because your fingers don't get tired, even after typing texts for a long time. And now what concerns problems. Firstly, the reverse side of an easy-to-press keyboard is almost always bad protection from accidental key presses. That is, keys are sometimes pressed even when your fingers just lie on the keyboard. Secondly, the keys rattle and click rather loudly. Thirdly, the keyboard is not secured well in the case, it rattles and yields when you type. I cannot say that it was a big problem (as the keyboard is easy to press and I don't press the keys badly, they press before the keyboard yields). But it's far from pleasant. If you press harder, it becomes annoying. I don't like this keyboard at all. What concerns the touchpad, it's quite a standard device (even if budget) from synaptics. There is a good utility to configure additional functions of the touchpad. Now what concerns drawbacks. It seems to me that it's not sensitive enough (it can probably be fixed in settings; but I think that the manufacturer should try to configure the utility in an optimal way, because only few users will actually fine-tune their touchpads). And it's not fit for a wide screen – it takes long to move the cursor from one side of the screen to the other. It's a budget model, so there are no additional buttons. On the other hand, I don't think that it's a problem for the same reason. A lot of functions are assigned to Fn combinations (when you press Fn, a LED lights up over the keyboard, the second LED indicates numlock). Looks like a reasonable solution to me. Fn+Esc enables/disables sound, Fn+F1 locks the workstation (it's a useful solution, typical of corporate models), Fn+F2 switches between modes of the power management utility from Toshiba. Fn+F3 and Fn+F4 set the notebook to idle and sleep modes, Fn+F5 switches between the built-in and external displays, Fn+F6/F7 control brightness, Fn+F8 – wireless interface, Fn+F9 disable/enable touchpad, Fn+F10/F11/F12 control keyboard modes. We should also note that the caps lock indicator is built into the key. It confirms that the keyboard was designed by Toshiba or by its orders. So I still don't understand why change the layout. What concerns indicators, they are all placed on the front side of the keyboard panel. This arrangement has a lot of drawbacks. In particular, you cannot see the indicators when the lid is closed. They are also blocked by the left wrist as you type. There are five indicators all in all. The right one is probably not used at all, because it's not labeled and it does not light up. Indicators: mains, power on, battery status, HDD activity. By the way, a stripe above the power button is backlit green. The case is made of frankly budget materials. It can be partially written off to the budget nature of the series, but the regress is still obvious. By the way, the A series is an illustrative example – its models are getting worse and worse. After switching to the black-and-silver palette, they are no different from purely Chinese products. The notebook looks cheap, both open and closed. The black plastic looks especially bad. Design of the case is also not impressive, but it's neat and has some interesting solutions. In particular, I liked the front edge of the keyboard - it's curved downwards, so that your wrists rest on it conveniently. If the edge is sharp, it may cut your wrists when you type. The sides are rounded, which makes the notebook look thinner. Some edges are doubled (for example, lid sides). Symmetric grilles on the speakers and a combination of black and silver elements on the keyboard panel also produce a nice impression. On the whole, I like the design. Judging by the arrangement of elements, I would say that it's a desktop model: speakers look up from the keyboard panel, audio connectors are placed on the front side. By the way, let's have a look at the arrangement of connectors. The front beveled edge houses only audio jacks and an analog volume control, typical of Toshiba. 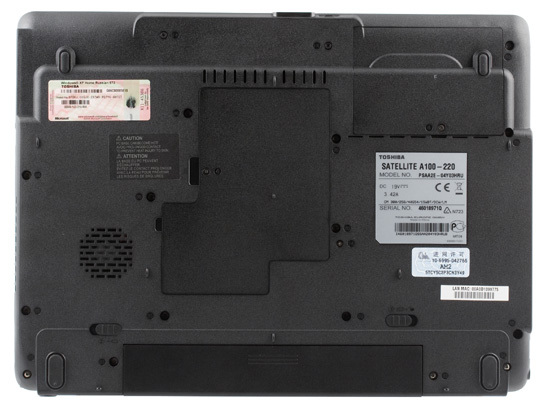 The left flank contains VGA connector, vent grille, S-video, IEEE1394 port, 1 x PCMCIA. Most of the rear panel is traditionally taken by the battery. It also houses a power connector, LAN port, and two USB ports. The right flank houses two USB 2.0 ports, an optical drive, a modem port, and a Kensington hole. The arrangement of connectors is convenient and well thought out. It's convenient to plug a power connector, as you don't have to tilt the display forward. There are USB ports on the rear panel (for constantly connected periphery) and on the right flank (for flash drives and similar devices). The notebook is equipped with a standard wide panel. There is nothing special about it. This panel lets you work and even watch movies, if you look straight. Viewing angles are typical of modern wide TN-film panels: if you don't move your head much, movies or photos are displayed rather well (colors are almost steady); but if you move the panel a little further or closer, distortions will be evident. On the other hand, the panel seems rather bright, it's convenient to work with it even under bright sunlight. What concerns operating temperatures, they are moderate for office load, but grow fast together with the load. The hottest part is the center of the bottom. By the way, our sample was equipped with a Celeron processor, which cannot control its clock automatically. The fan is not very noisy, we have no gripes here. A number of Toshiba utilities are loaded at startup - they are intended to make your experience with this notebook better. I'd like to note right away that these utilities score several points for the notebook. The most interesting utility is the power management program. It's installed as an additional power scheme (it's not activated, if other schemes are selected; that is it didn't not work in our tests, as we used the Portable scheme). The program allows flexible configuration of various power consumption aspects, for example, speed (and adaptivity) of a processor, display brightness, as well as other actions. It should be noted that everything is implemented in the illustrative way. Its configuration will be convenient and clear for most users. It's a very convenient utility, much better than previous versions. There are also other utilities that are loaded at startup: for example, zooming utility, a utility that controls optical drive speed to reduce noise, virtual sound utility, and a launcher. The launcher displays a row of semitransparent icons for wireless configuration. Besides, there is also a utility for wireless configuration proper. To crown it all, the notebook has preinstalled Norton Internet security, record now DLA for burning compact discs. The most irritating thing for me in this notebook is the short Shift, I can get used to the other issues. Surprisingly, even the heaving keyboard is not a problem, because the keys are very easy to press. The bright panel also produces a nice impression. What concerns multiple peculiarities of the model, most of them can be explained by the budget nature of the notebook. These are not drawbacks in pure form. They are rather a problem of choice – whether you are ready to pay more for a better model, or you will choose this inexpensive notebook. Battery life is terribly disappointing. A number of factors play their role here, including the processor. But we should always keep in mind that this model not only fails to break any records, it can work for no more than two hours in the power saving mode at best. When loaded, you can expect it to last for an hour, or a tad more. 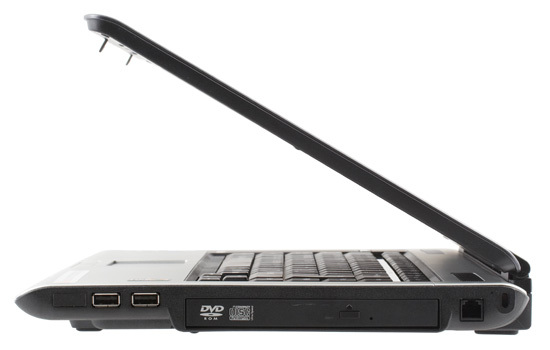 The widest range - from offices, which require basic notebook functions (office, Internet, e-mail), to home users, who need the same basic functions. The main criterion here is the price/functionality ratio, its price playing a more important role. This model should stay on your desktop most of the time. It won't do for travels - too big, too small a battery (although the notebook is light-weight). However, it's convenient to transport. It's a budget model, that's all. I wouldn't pin hopes to the "Toshiba" badge. It does not guarantee reliability or usability. Just the right to use authorized service centers, probably a tad better warranty, and a couple of proprietary utilities. Failures will most likely be fixed in time. This notebook comes at an interesting price. We have nothing else to add, everything is mentioned in specifications.